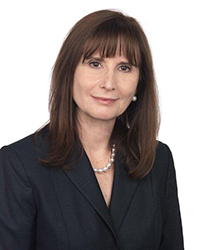 Holly Gayle Gershon* is a Florida Bar Board Certified Marital and Family Lawyer who has been practicing in the area of Family Law since 1983. With an emphasis on divorce cases, Ms. Gershon also works on child visitation, domestic violence cases and real estate. Based in Boca Raton, Ms. Gershon has more than 30 years of experience serving her clients in a professional yet sensitive manner. She has earned a reputation of guiding her clients through the complex legal process step by step whether the matter is settled quickly or more complicated issues arise and has mediated disputes between divorcing parties to a successful conclusion. Professionally, Ms. Gershon is on the Board of Directors of the South Palm Beach County Bar Association and will serve as an officer this year.